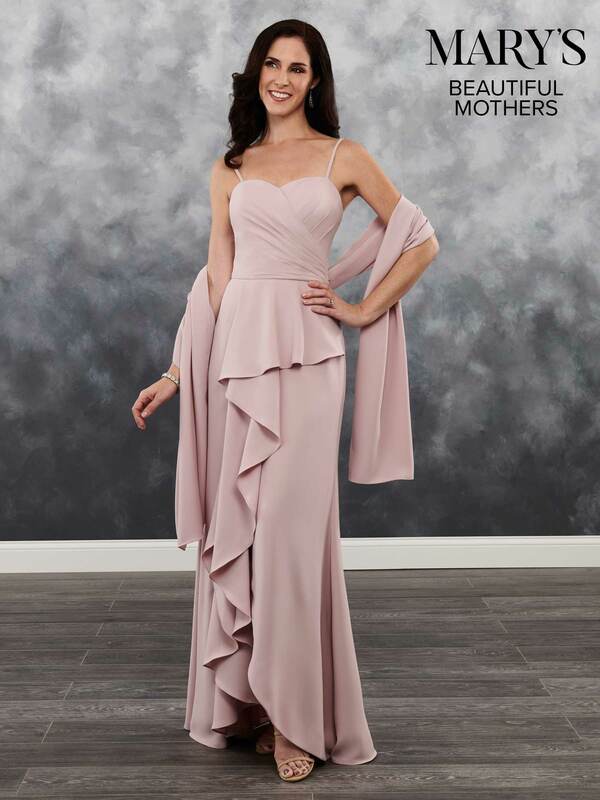 Description: Crepe A-line mother of the bride dress features pleated wrap top with sweetheart neck line, spaghetti straps, cascading ruffles, and shawl. 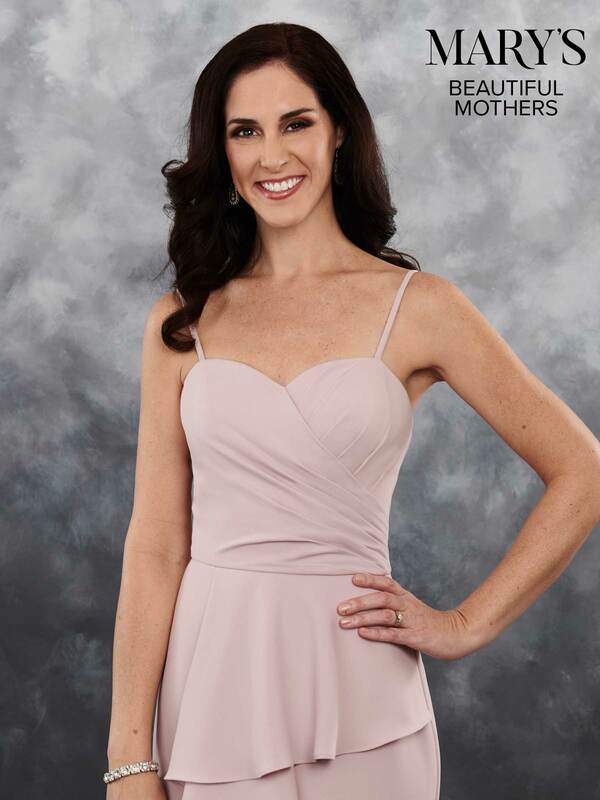 Color: Shown in Apricot Pink. Available in 16 colors.